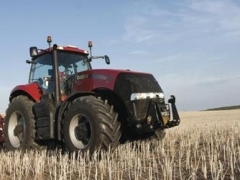 For the success of your farming business you need your tractor to perform reliably in the field and on the road; you need power, productivity and economy. The Magnum CVX delivers on all counts. 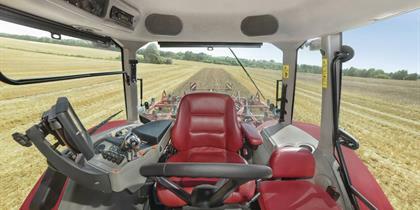 Big on power, comfort, productivity and durability to meet the needs of large-scale farming. The Magnum CVX brings reliable technology to your business, delivering a powerful performance with low ownership costs. The new transmission and additional 370 horsepower model further raise the bar on the productivity and returns for your business. You won’t feel tired after long working days on the Magnum, with the ergonomic layout and excellent visibility of your front and rear implements. Suspension on the cab, seat, axle and front and rear linkage provides a remarkably smooth ride whilst the low noise levels and climate control create a comfortable environment. 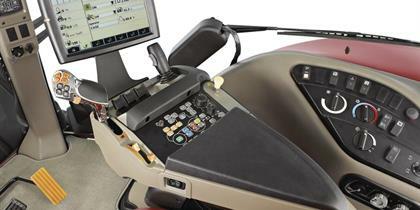 You have a perfect overview of all your Magnum’s functions: the Multicontroller armrest puts all the controls at your fingertips whilst the Integrated Control Panel gives you all the key information at a glance and the AFS Pro 700 screen integrates the data from the tractor and implement. The powerful 8.7 litre, 6-cylinder turbocharged and intercooled engine features SCR technology to meet EU Stage IIIB emissions regulations and deliver extra power and fuel efficiency with an unbeatable rpm performance and no power loss. A variable turbo charger delivers optimal performance on the 370hp(CV) model at the top of the range. 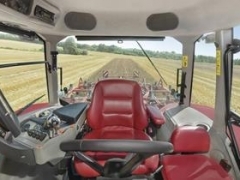 You can choose the proven Full Powershift Transmission with Automatic Productivity Management (APM) which automatically reduces engine speed to match power requirements, or you can opt for the Continuously Variable Transmission which makes the Magnum CVX the perfect all-rounder on the road and in the field, driving automatically from 0 to 50kph. The fully integrated front linkage has a lift capacity of up to 5 tons, and you can add an optional front PTO. If you need to operate big implements with your Magnum which require extra hydraulic power, you can opt for the twin-flow 282 litre pump. You can have up to 6 electro-hydraulic remote valves to enable a high number of functions without the need to reconnect hydraulic hoses. 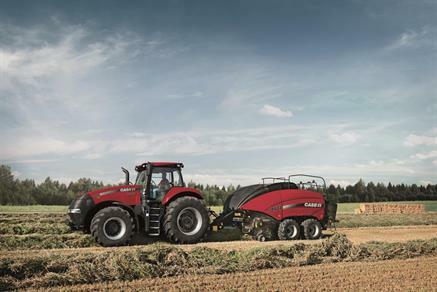 The heavy-duty PTO meets the greater requirements of the higher engine power. The 1000 PTO speed is achieved at 1,803rpm, where there is a huge power growth. A 540/1000rpm dual speed PTO is also available. In addition, you can choose from a wide range of ballasting options and a suspended heavy-duty front axle, as well as tyres up to 2.5m high. The optional integrated AFS Pro 700 monitor gives you all the key data, from fuel consumption to engine and PTO power, at a glance. 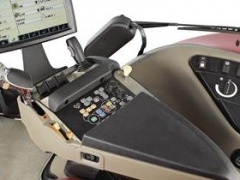 It also enables you to adjust easily and quickly the settings for different implements and working conditions, as well as controlling ISOBUS compatible implements. To maximise your efficiency, you can choose from a full range of guidance solutions, offering accuracy levels of up to 2.5cm.